Fat grafting is a natural approach to restoring a youthful look to the face that does not involve removal of skin, stretching the skin, or the risk of an unnatural looks that can result from a face lift. Fat grafting is the process of taking small amounts of fat from one part of the body and reimplanting it elsewhere. This fat can be implanted to the lips, the nasolabial folds (the folds from the corners of your mouth to your nose), the under eye areas, the cheeks and other parts of your face and body. It is minimally invasive and can help correct problems such as acne scars and restore a youthful look to an aging face. 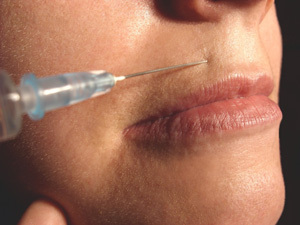 After the patient has been treated with a local anesthetic, fat cells are extracted from the abdomen of the patient using a syringe with a small cannula. The fat cells are then specially processed before it is injected deep within the facial structures. Some of the fat injected will be absorbed by the body. Depending on how and where the fat was harvested, concentrated, where it was injected, and how well you heal all will determine the amount of fat absorbed. Besides reshaping your face many patients find that because the harvested fat is rich in stem cells, fat grafting also helps correct skin conditions and slows down the aging process by reducing wrinkles and tightening of the skin.